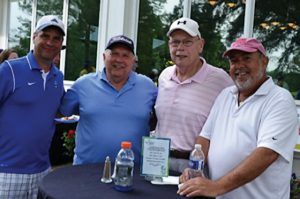 Players can hit the links and show their support for Tender Mercies at the annual Tee Up for Tender Mercies Golf event. A 1 p.m. shotgun start will follow lunch. Dinner and an awards presentation will be at 6 p.m. The afternoon will feature contests and a raffle with prizes such as a diamond necklace from Schwartz Jewelers and a Cincy VIP package that includes tickets to such events as Reds, Bengals and FC Cincinnati games, Cincinnati Ballet performances, and more. Tee Up, a key source of funds for Tender Mercies, has raised more than $1 million over the last 25 years. Proceeds support its permanent housing program, which annually helps nearly 200 homeless men and women with mental illness.